Yep. I took off a little more time than I originally planned, but I think it was worth it. It was an interesting vacation. My original plans fell through (seriously, this always happens, why do I ever bother planning anything?) but there was an unexpected silver lining to it all. On one hand I feel like it was a waste of a vacation since I don't feel any more rested or refreshed than I did before I left and I didn't end up going where I wanted to go, but on the other hand, the time off seemed to flip some sort of switch in my brain that turned my creativity back on. I've been writing purely for my own enjoyment, working on some old projects that have been gathering dust for years, learning to play a couple instruments I've never tried playing before, creating and imagining, and I've even scratched a few things off my bucket list. Want to hear something else crazy about my vacation? I didn't wear nail polish for almost two weeks straight! I know! It wasn't intentional. I started off with an awesome Color Club glitter on my nails, but that chipped off on the second day. I put on another glitter which also chipped, and after that my nails stayed naked because I was just too absorbed with other activities to pick out another color. So, yeah, I guess it was nice to take an extended amount of time off from my usual routine even if things didn't go as planned. The creative mental shift was both unexpected and very welcome. We'll see how long it lasts. But, now I'm rambling. No one wants to read that. So.... here's this picture I took of a duck scratching itself. Welcome back :) I wish I could get into writing again, too. I haven't written in what feels like ages when I used to love making up stories. Nowadays I just seem to completely lack the creativity and imagination of my childhood. Hi welcome back! I hope your finger healed ok! Thank you! It did, and I'm surprised, for how gross it looked when it happened, there's not even a noticeable scar. Yay! Welcome back, I am so glad that you are back. Yayayaya!!! I've missed yer so much! I can totally relate to this entire post. I'm with MASPOOASE, a duck scratching itself looks like a Mr. Potato Head with all its limbs rearranged (but, you know, in duck form instead of potato) Glad you're back, though and that your vacation turned out at least mostly OK! Ukelele and violin! I want to try banjo next, but those are substantially more expensive. I have pretty small hands and short fingers, so the trick is to find a guitar with a narrower neck- some guitars are just too big for me to play comfortably, but others suit my small hands much better! Nice touch with Curque du soleil la duck pic! that position was very unnatrual (talking to the duck) and can't wait to see more of your posts! I'm somewhat obsessed with ducks so I am a very happy lady right now. ;) I love the randomness of it. Yay for getting a rush of creativity. Always nice when inspiration/motivation hits. Looking forward to seeing some swatches soon! Duck yoga! And welcome back. Welcome back, I love the duck! So happy yr back and happy :o). I've missed you ! welcome back! That duck is beyond cute! Glad u r back :)! Well it sounds like you enjoyed your vacation! Welcome back! It's always good to take a break. 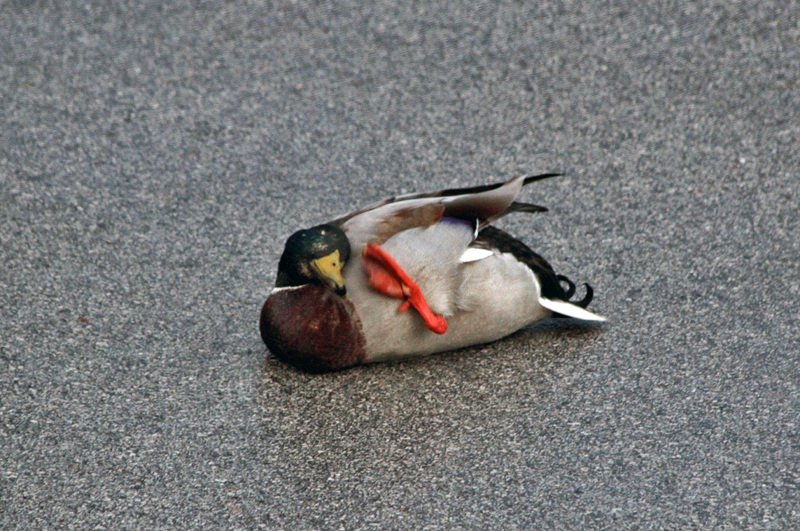 I have to admit I had to look at that duck picture about 22 ways before I could see how he was twisted up haha. I am glad you got a break from polish and blogging. Sometimes a human just needs to relax and enjoy life. That duck picture took me a bit of looking at to figure out what the heck was going on haha. I heard about that! It's not me, though! I've never tried Instagram before. Welcome back, we missed you! I'm glad you made the most of your vacation, I hope you can continue your new and old interests. I think the lack of nail polish is a good sign for a nail blogger's vacation. Welcome back! The duck picture entertained me for far too long. I have so many questions.